Because the use of ecstasy is often characterized by feelings of euphoria, it has been sought after by many who do not fully understand its risks. Addiction to ecstasy can lead to permanent brain damage if not treated. The euphoric feeling caused by ecstasy can soon gives way to depression, paranoia and a host of other problems. People who have developed a dependency often suffer from ecstasy side effects such as sleep disorders and anxiety. Although these issues were caused by abuse of Ecstasy, they lead to continued abuse of the drug. This is a vicious cycle that is difficult to break without professional help from an ecstasy and MDMA detox center. If you or a loved one is in need of help with an addiction, please call our recovery helpline at ( 1-888-287-0471	Who Answers? . Less than 10 percent of ecstasy is pure. Many toxic substances such as rat poison are often mixed in, along with other harmful drugs. Don’t be fooled by the whimsical imprints on Ecstasy pills; addiction is life-threatening. Detoxification of ecstasy from the addict’s system is a necessary step in the treatment process. If use of the drug is not discontinued, the patient may never get better. Detox will rid the addict’s body of all traces of ecstasy, and with supervised care and symptom management, the withdrawal process can generally be weathered without extreme discomfort. The severity of the withdrawal process will depend on a variety of factors, such as the level of dependence of the addict and their overall health. It is important to remember that detox is safe and effective when it is supervised by medical professionals at an ecstasy and MDMA detox center. Participation in a quality long-term ecstasy and MDMA detox center program can help you stop abusing ecstasy. 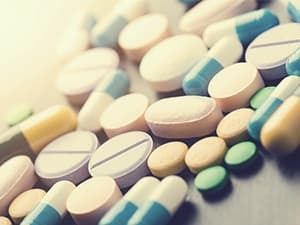 Not only can the symptoms of withdrawal be eased, but ecstasy and MDMA withdrawal treatment facilities can provide ongoing counseling in a therapeutic environment. After detox, the healing process can begin in earnest. The treatment program at most long-term treatment facilities is comprised of a classic 12-step program, along with behavioral therapy and counseling. Counseling can be provided in a group environment or on an individual basis. Our brains produce a hormone called serotonin, which is also known as the “happiness hormone,” because it regulates our mood, appetite and sleep schedule. Use of ecstasy blocks the brain’s production of serotonin. This can cause permanent damage to the pleasure sensors within the brain, causing depression and a host of other serious issues. If you feel that you can’t get through the day without using ecstasy. If you have to use more ecstasy than you have used in the past to get the same effect. If you have resorted to dishonesty or theft in order to obtain and use ecstasy. If you insist that you are in control of your ecstasy use, when you are increasingly out of control. If you are experiencing any of these addiction warning signs, call our helpline for immediate, 24-hour assistance at 1-888-287-0471	Who Answers? . About 92 percent of ecstasy users also use harder drugs. Speak to a medical professional about your addiction. It is important to be honest about your drug use and its effects on your life and health. An addiction treatment program can be recommended based on your specific issues. After the detox period, you will begin the recovery phase. Many ecstasy and MDMA detox centers offer dual diagnosis treatment. This is a specialized program of care that treats the addiction and any psychological disorders that are often the result of — or that led to — drug abuse. If all of the underlying issues are addressed and corrected, the prognosis for a full recovery is much better. Some examples of psychological issues brought about by ecstasy use — or that led to the drug use in the first place — are depression, anxiety and post-traumatic stress disorder. Aftercare is a vital part of any ecstasy and MDMA withdrawal and treatment facility’s program. Outpatient therapy and phone counseling may be a part of an aftercare program. Most patients are encouraged to join an external support group for addicts, such as Narcotics Anonymous. Many recovering addicts may benefit from a group home environment. Group homes are especially helpful when the chances of relapse are high. They provide an atmosphere of structure and support without being overly restrictive. If you are suffering from addiction, or you are concerned about a loved one, call 1-888-287-0471	Who Answers? today. There are many resources for people struggling with dependence to ecstasy, and we can help.